Seemingly as unclear as its definition is the purpose or value of Big Data. Why and how is it being used? Businesses today are seeking new and better ways to remain competitive, profitable and prepared for the future, and, according to industry experts, Big Data analytics offers leaders a way to extract new insight and ideas to stay ahead of the curve. So, what is Big Data? There are a number of published Big Data definitions and just as many industry experts who believe that none of them are truly definitive. 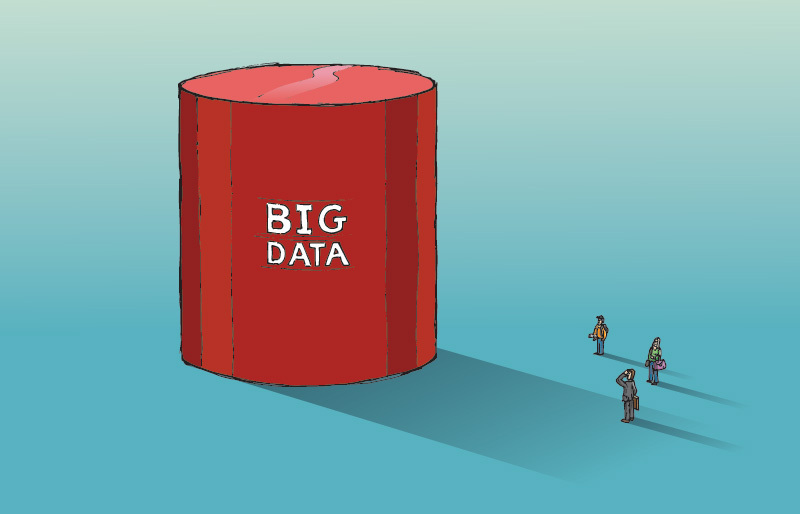 It’s no wonder that confusion swirls around the term Big Data. That being said, here are a few of the statements that sum up the term, the challenge and the opportunity nicely. Big Data is a broad term for data sets so large or complex that they are difficult to process using traditional data processing applications. Challenges include analysis, capture, curation, search, sharing, storage, transfer, visualization, and information privacy. Volume: The amount of data is immense. Each day 2.3 trillion gigabytes of new data is being created. Variety: The different types of data, structured, as well as, unstructured. It is the combination of these factors, high-volume, high-velocity and high-variety that serves as the basis for data to be termed Big Data. Big Data platforms and solutions provide the tools, methods and technologies used to capture, curate, store and search & analyze the data to find new correlations, relationships and trends that were previously unavailable. Consistently cited in attempts to define Big Data are large, varied data sets that “do not fit nicely into corporate databases and standard computing environments.” Advancements in distributed processing capability (Hadoop, etc. ), search engine technology, NoSQL databases and high capacity, cost effective cloud storage provide the environments to store, search and analyze very large, disparate data sets, enabling Big Data for the masses. In what used to take weeks to compute, today’s Big Data solutions accomplish in seconds, providing forward thinking organizations the opportunity to respond to challenges better and faster than at any time in the past. In the past, technology platforms were built to address either structured OR unstructured data. The value and means of unifying and/or integrating these data types had yet to be realized, and the computing environments to efficiently process high volumes of disparate data were not yet commercially available. This unstructured data adds up to as much as 85% of the information that businesses store. Regardless of the size of your busines or the industry you are in, you have Big Data. The ability to extract high value from this data to enable innovation and competitive gain is the purpose of Big Data analytics. Conducting analytics on large sets of data, business users and executives are able to see patterns and trends in performance, new relationships between data sets and potentially new sources of revenue. Let’s look at a few examples of scenarios where Big Data solutions have helped these companies gain a competitive advantage. Coca Cola has been in a leader in the consumer packaged goods industry for over a century, and their brands are iconic. They distribute their products to a global network of retailers, have many SKU’s, and must be able to predict buyer behavior to ensure they have the right inventory, promotional ads in the marketplace and sponsoring the right events worldwide. Coca Cola’s customers are in 206 countries, a vastly diverse marketplace with tens of millions of ultimate consumers. Effectively managing the information relating to their clients, employees, suppliers and media assets requires effective storage, powerful indexing and search functionality, and innovative solutions to make sure information can be located and used when required. Big Data solutions have provided Coca Cola with this ability. For many entertainment, technology and media organizations, Big Data analytics is the key to retaining subscribers, securing advertising revenues, and understanding the sort of content to serve as it relates to geographical locations, time of day, demographics, and on opinions expressed on social media. Big Data gives Nexflix the ability to deliver the content the customer wants to see, when the customer wants it. Providing electricity to over 5.2 million customers means managing a great deal of information on usage patterns and be able to provide actual usage data as opposed to educated guesses. Smart meters and the Big Data storage and analytics systems they integrate with have provided Southern California Edison with the ability to see trends in fifteen minute intervals instead of blocks of weeks at a time. With Big Data, Southern California Edison gives its customers the power to view and control their electricity spend, while improving their internal ability to meet demand in a cost effective manner. Big Data analytics provides organizations an opportunity for disruptive change and growth. In most cases, however, the data sets are too large, move too fast or are too complex for the traditional computing environment, which creates a significant challenge. The technologies are available; however, an investment of time, money and resources will be necessary to fully implement a Big Data solution. Is it worth it? The options are limited—invest in the platform, technologies and expertise to leverage your data, or continue along the path of the status quo. Enterprise content and data specialists, such as General Networks, can help you to define and quantify your Big Data goals and objectives. If you are curious as to your options, contact General Networks. We are helping our customers to become more efficient, innovative and competitive. Our team of consultants, with over 20 years of experience building large scale enterprise content and data solutions, are happy to meet with you to help determine if a Big Data analytics solution is right for your organization.